Running your personal errands can be a challenge, especially when you only have one hour within your work day to complete every task before 5:00 pm, when most businesses are closed. 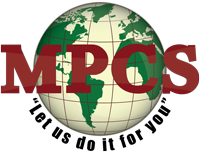 MPCS is here to the rescue! Imagine having your very own personal assistant at your beckon call? We offer just about any professional services you require, because we are committed and dedicated to pleasing our clients. For you our valued clients, we have created these special services with you in mind. Drop off or collection of dry cleaning. Take car in for emissions testing, mechanical service and maintenance, or for wash and detailing. Transport of items to post office or courier service for mailing. Transport pets to and from the vet and groomer. Delivery of lunches and books to kids at school. Drop off or pick up prescriptions. Purchase, wrap, and deliver gifts to friends and family. Pick up and deliver trays of food for meetings at your office or small parties at your home. Pick up your children from school.